Three solid sterling silver bangles with an internal diameter of approximately 6.7cm. 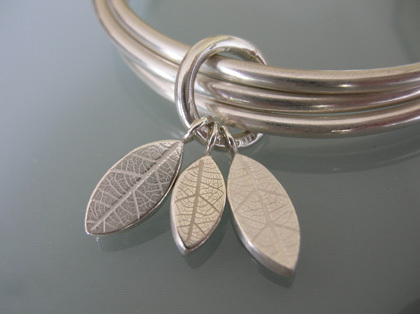 The bangles are connected by three solid silver charms, each with a delicate leaf pattern. 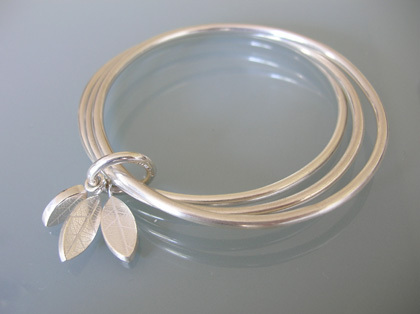 The bangle has a satin finish and is hallmarked.